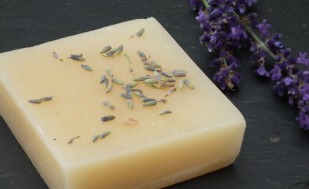 The ancient healing properties of Neem oil and Tea tree, known for their antibacterial, ant-viral, anti-inflammatory and skin healing properties, create this moisturizing all over body soap. Particularly beneficial for teenagers with acne prone skin, neem and tea tree balance skin's oil production. Antioxidant-rich seabuckthorn oil has healing and softening fatty acids and anti-inflammatory and anti-microbiological activity that help strengthen capillaries and promote healing by encouraging tissue regeneration to protect skin as it cleans. Sea Buckthorn oil has been used to treat skin disorders in Eastern medicine for centuries. Shea Butter is mild enough to use on little babies and the anti-inflammatory botanicals of Chamomile and Calendula flowers are used topically to heal rashes and soothe dry, irritated skin. Honey is a humectant in soap - a compound that attracts moisture to itself and helps retain the moisture. Customers have told us that this soap has been especially helpful for conditions such as psoriasis or dermatitis of the skin. A warming blend of Geranium, Cinnamon, Rose, Orange and Sandalwood essential oils with African Karite Butter (Shea) for a soothing moisturising bar. An uplifting blend of the essential oils of Lavender and Lemongrass with Shea butter and Jojoba oil for a silky smooth feel. Lightly floral with sweet woody tones. 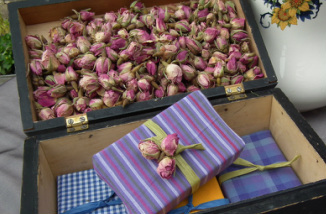 Men and women will find the warm fragrance of our aromatic sandalwood and crushed rose petals soap to be irresistible. 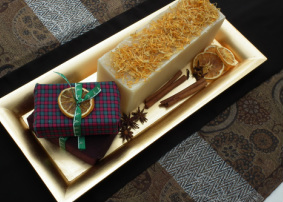 A festive blend of Shea butter and dried cinnamon to gently exfoliate and moisturise. 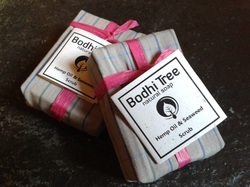 Scented with Nutmeg, Cloves, Orange and Lemon essential oils for refreshing spicy experience. In addition to its excellent absorbency into the skin, Hemp is possibly nature's most comprehensive and complete combination of fatty acids. This soap is rich in seaweed, packed-full of essential vitamins and natural anti-oxidants for your skin and has a wonderfully clean scent. 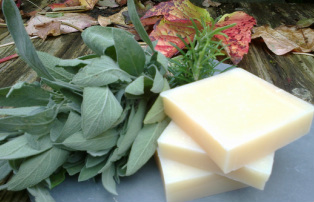 The lovely colour of this natural soap comes from emollient rich alkanet root oil. 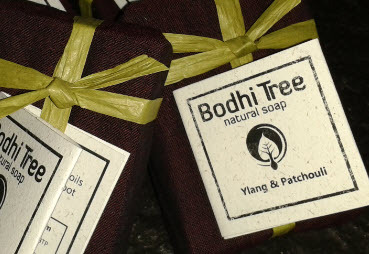 The rustic blend of sandalwood, ylang, patchouli and rose will soothe and relax. 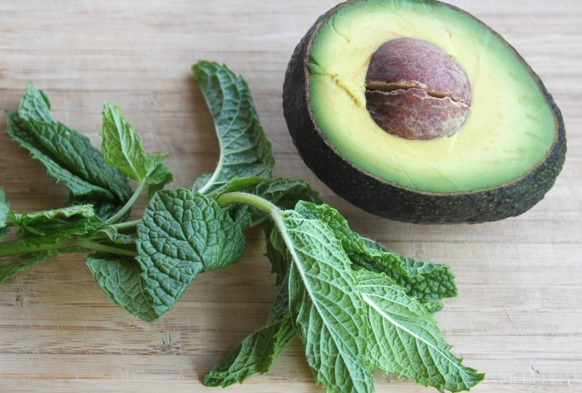 The rich consistency of avocado oil gives this natural soap a soothing effect on the hands. A blend of Peppermint and Cedarwood will energise and uplift.